Rambutan fruit is naturally red in colour but they sometimes seem like yellow or orange. The shape of Rambutan fruit is round or oval and it is up to three to six to four cm in dimension. Rambutan is borne in clusters. Its leather like skin has flexible thorns. It has brownish seed with two to three cm in size and is basally scarred. It is soft and crusty. 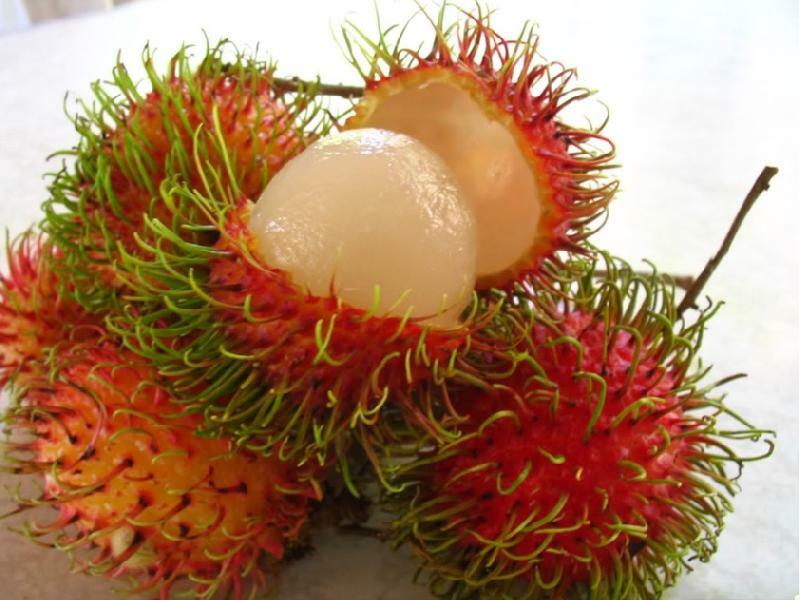 Taste-A good rambutan has a firm and juicy flesh. It has a sweat taste, and it is somewhat similar taste of lychee fruit.